Quirky NY Chick: Books: Zooey, It's Snowy! Today we have for you an adorable holiday book by Melissa Nastasi. Zooey, It's Snowy! 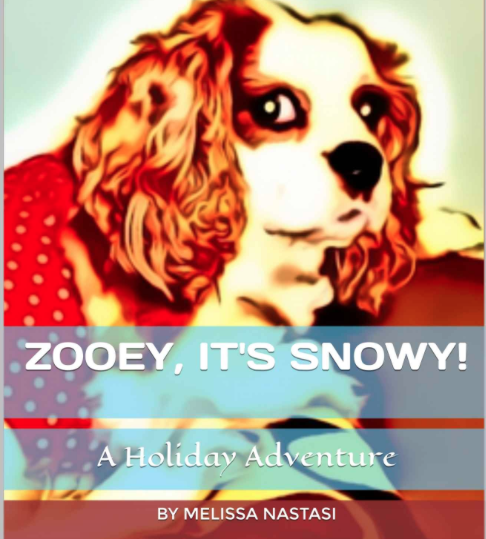 : A Holiday Adventure is a children's book following the adventures of Zooey a Cavalier King Charles Spaniel. All Zooey wants for Christmas is snow. Will she get it? You'll have to check out the e-book to find out. You can pick it up HERE.